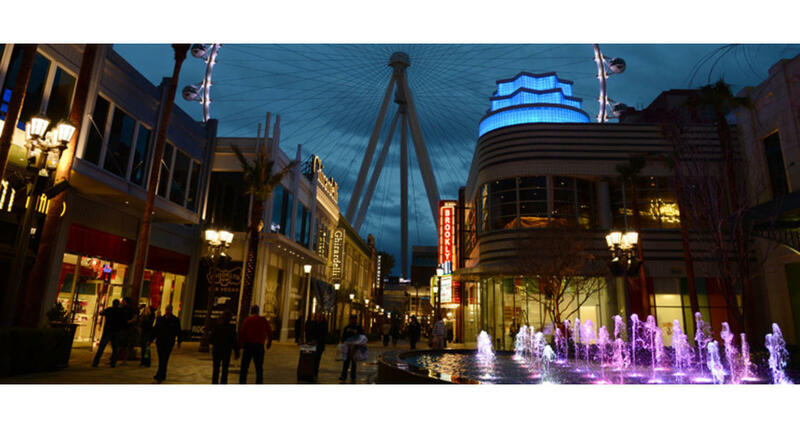 Caesars Entertainment has dramatically changed the Las Vegas skyline with The LINQ, an open-air retail, dining and entertainment district, anchored by the world’s tallest observation wheel, known as the High Roller. Located at the center of the world-famous Las Vegas Strip, The LINQ features more than 30 unique retail, dining and entertainment venues and is home to special events, festivals and more. Topping out at 550 feet, the Las Vegas High Roller observation wheel is the focal point of the unique urban entertainment district. A varied mix of businesses are now found here including 12A.M. Run boutique sneaker shop, Bella Scarpa footwear, Brooklyn Bowl, Chayo Mexican Kitchen & Tequila Bar, eyewear and watch company Chilli Beans, pizza at Flour & Barley, Ghirardelli Ice Cream and Chocolate Shop, a self-service daiquiri bar called The Purple Zebra, The Tilted Kilt Irish pub, craft beer venue at Yard House, and much more.